New Zealand farmer and motivational speaker, Doug Avery, who published his award-winning book, The Resilient Farmer, last year, will be giving a series of talks across Scotland in September and October 2018, and we are delighted to be involved. The tour, Drought, Adversity and Breaking New Ground, is organised by the Royal Highland and Agricultural Society of Scotland (RHASS) and farming charity RSABI, with the support of Ross-shire farmer John Scott, star of This Farming Life. 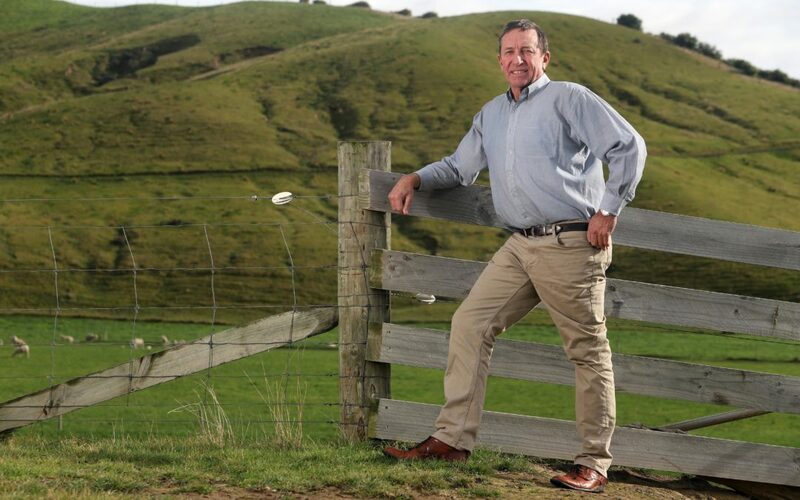 The South Island farmer, who has overcome severe drought and earthquakes which debilitated his business and triggered mental health challenges, will be visiting key rural events and areas in his first-ever formal tour of Scotland. Highlights include a talk prior to the Border Union Ram Sales in Kelso, as well as at the Thainstone, Lanark and Orkney Marts. Mr Avery will also visit the Scottish Parliament and attend the Helping It Happen Awards, organised by Scottish Land and Estates, in Edinburgh. Mr Avery, who has been awarded the New Zealand Order of Merit for his services to agriculture and mental health, and his wife, Wendy, were driven to the edge of despair in the wake of several years of drought and two severe earthquakes. Forced to look at alternatives for their 2400-hectare farming business in South Malborough, he attended a seminar in Christchurch by a senior plant science professor of Lincoln University, Dr Derrick Moot, which inspired them to adapt their farm-management systems to take advantage of the now very dry conditions. They started growing lucerne, or alfafa, for grazing their livestock, and despite the initial cynicism from their neighbours, they have transformedtheir business. The farm has increased its income tenfold in the last 10 years, and it is now one of the top performing beef and sheep enterprises in New Zealand. The Averys set up Resilient Farmer as a result of their own experience, an enterprise which works collaboratively with innovative businesses to promote and assist other farmers to make a similar journey to a more resilient future. This includes the recently launched “Woolshed Workshops” which focus on personal life and business skills for farmers. Mr Avery’s book, The Resilient Farmer, followed in 2017 and was New Zealand’s largest publishers’ second best-selling book that year. Since launching his book he has spoken to over 11,000 people in New Zealand and Australia, not only in farming circles but also in urban organisations, schools and rugby circles. Doug Avery will be giving his talk, Drought, Adversity and Breaking New Ground, in Kelso, Perth, Forfar, Thainstone, Cairngorms, Thurso, Dingwall, Orkney, Lanark, Dumfries, Ayr, Oban, Mull, Stirling and Edinburgh. For a full list of dates see www.dougaveryscotland.co.uk. The talks are free and open to anyone interested in his story and changing mindset to address challenges. Most events are ticketed due to venue restrictions, so must be pre-booked. Tickets can be booked on the website.